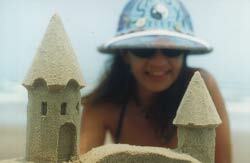 make it an art adventure vacation in the SandBox! Bye-Bye Summer Crowds -- Hello Music/Art Fans Looking for Great Offseason Deals! "One of South Padre’s most appealing beach rentals is The SandBox Inn, a two-bedroom, two-bath cottage with a spacious kitchen, a mesquite bar, a piano, and a pool table. Stepping outside, the cottage offers two decks for viewing the Gulf and the bay—and is a mere half-block walk to the beach." 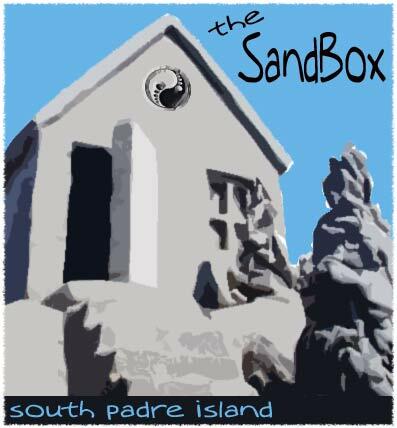 Come see work progress on the South Padre Island Sand Castle Trail! 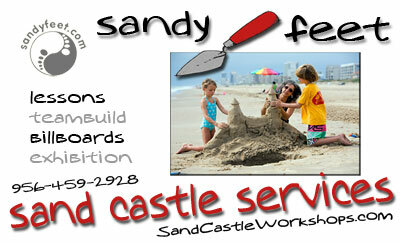 SandCastle Lessons & Billboards Even if the SandBox may not fill your vacation rental requirements, there is no reason why you can't still learn how to build a better sand castle while you are here. I offer private sandcastle lessons by appointment all year long, and I can build a wedding or birthday castle for your beach party with prices starting as low as $100. I Like Rocks. Rocks and Driftwood. 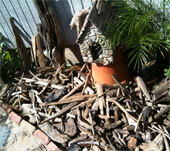 Shells, Pieces of Tile, Weathered Boards, Old Signs, Pot Shards, etc. etc. Dad Feets and I shared a love for found objects - primarily rocks and pieces of driftwood - that are beautiful in and of themselves and/or as components of something larger. I have been working hard on the east path that leads to Boppy's Annex, planting flowers he loved (come on, pansies!) and displaying his bird castles and stepping stones he helped me make. I am finding new homes for the portion of his rock and driftwood collection I brought back from MI, but there is plenty of room for more. So if you want to make me happy to see you, bring me a rock. Really. Q. 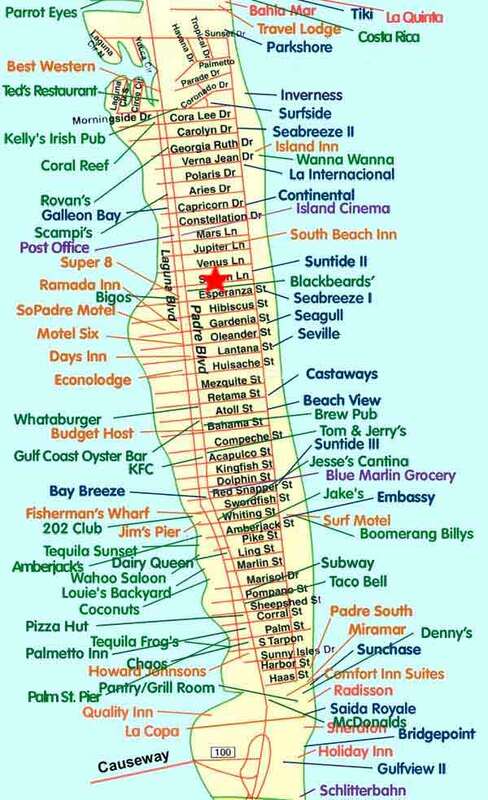 How close is the SandBox Inn to the Beach? A. 285 steps via my short, stubby legs. I Barter - Save $$$! I have a wishlist of projects I would like to colloborate on with creative, handy people. Does that sound like you? 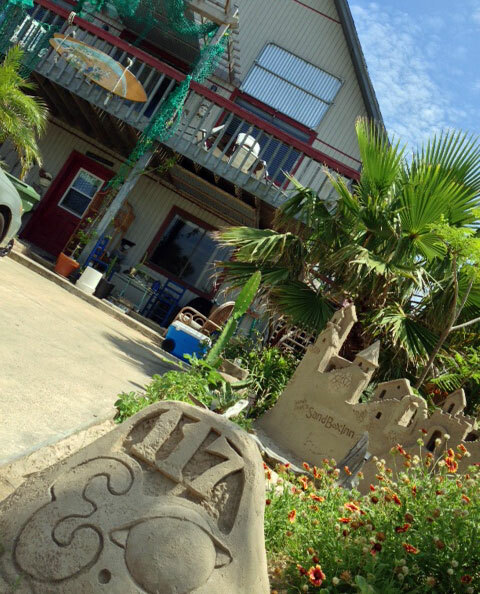 '"sandy feet" has been a South Padre Island institution for over 25 years -- master sand sculptor, writer and now innkeeper! She has only one unit to rent -- which means she can lavish all her attention and resources on making this the absolute coolest place to stay on South Padre Island. "Would you like a sandcastle experience with that?"